This was one of the most precise, straight to the point, most helpful books of this nature that I have ever seen, and I am thrilled to have this book on our bookshelf. They covered pretty much everything in this book, from not answering the phone, to not answering the door without permission, even internet safety! Another awesome addition is that they point out a few different scenarios of strangers in cars. If a stranger asks you to help find a lost per, offers candy, and what to do if a stranger tries to pull you inside the car? Today is much more scary for children, or maybe I guess for us parents, then it was back when I was growing up. For one, we didn't have the internet, and I personally believe people as a whole have gotten a little more dangerous. Maybe this is contributed to a bigger population? I'm not sure, but I do know that I am certainly more cautious with everything, more so then when I was growing up. This book sparks some very good discussions with your children and reinforces what you have been trying to say several times over. It is always a plus to have a book like this, no matter where you are, how wonderful your neighborhood is, child abductions can happen anywhere. I would recommend this book to teachers, Sunday School teachers, day cares, preschools, libraries, and parents and grandparents. It would also be a great book to have for a child care worker, and even a doctor's office. The authors also have a very informative website, which they update on a regular basis, and offer much more valuable and important advice and tips to use in your families to live a safer and much happier life. All in all, I am really an overprotective mom, we have to be nowadays, and I am more then impressed with what this book has to offer and how it has helped our own family! I almost forgot to mention the best part of all! This is something we actually never thought of in our family and I am so happy to have read this!! They have a section in the book to have a code word between you and your little ones, and for you to share, just in case of an emergency!! This is a simple tool that can definitely be used to save a life, and it can be a very personal and easy word for you and your children to remember! That way, if there is an emergency and you have to enlist the help of a relative or friend to pick your children up from baseball or soccer, the movies, wherever they may be, you simply share your secret word with that person so your kids know it is safe! Please check out Tonya and Chad Walker's website for more valuable information and ideas! I would love to hear any ideas you may have that your family uses to create a safer environment at home, school, and when they go outside to play! I am having a major issue for a couple months now, all pertaining to this blog. I was hacked once, a transfer failed once, and I lost several book reviews and posts and even a few giveaway posts. Then, Blogger decided to switch on me, and for some reason, if I have html code in a post, my paragraphs are not starting and stopping properly?? Besides all of this, my RSD, (I know, and I am sorry if I seem like a crybaby), but it is getting worse and spreading and between neurology and regular dr and pain management visits, I am so ready for vacation!! I am not happy with my recent dr visits and diagnosis, nor do I approve of my medications being upped, and new ones added and being told I can not really rely on Calmare, to help me. I just want something, anything to even just take away even a third of the pain and discomfort!! But for now, it is being "controlled", it is better then it was the last few weeks, and months since it has progressed, yet again, and so, I am able to re locate all of my lost posts, and pictures. Well, I can not really locate them all, I have no clue as to what happened exactly, other then the fact that I was hacked, and I paid somebody to transfer me, and well, they transferred me back because they "lost" so much in the initial process. Luckily, I found a very reliable blogger, Blogelina, and she will be taking over from here on out. I am only 1 person, and not a business, so therefore, I do not have the type of money to spend to fix and host and run my blogs. All of my networks and sites are unfortunately just run by me;P I am planning on this to change, especially since I now see the light at the end of the tunnel, with all of the technical difficulties, and I also am being "managed" by my team of doctors. (Even if I hate it, I can at least get on with my life, so I am grateful!!) If anybody has tips, pointers, suggestions, on how to fix my paragraphs, or maybe knows of a book I can buy and read that will maybe have every answer to every question, issue, concern, dilemma, that a blogger may have, lol, please, I am begging you, to let me know what that book is!! It takes me so long to find answers to my crazy, adventurous blogging career!! It will come in handy if it really works!! If you don't follow me on Facebook, please check out my page:) If you have a page, tag it on my wall and let me know, and I will visit your page as well! Smart Strategies for Women to Thrive in Science, Technology, Engineering, and Math. Being a female myself, I have to say I never really had any hurdles, any issues to deal with because I am a girl/woman. Although I do know these hurdles do indeed exist, and I have 2 daughters that I would hope never have to go through what I see and hear others go through, especially those who are seeking careers in male dominated fields. I think this is a book that should be handed out at every graduation, to every woman, maybe even the males. Karen Purcell offers some of the most important and most wonderful advice for anybody to succeed in life. She goes into great detail, explaining in a simple to understand way, how to achieve what you want in life, and how to grab a hold of your dreams and thrive. The fact that she wrote this book to help others, and share her own story of inspiration, makes this book extremely valuable and a book that will be opened up for many days, months and years to come. There really is something in there for everybody. This book relates to most of us, and can help you gain more knowledge of what you desire, and want in order to become the person you want to be. Whether you are in any of the fields Karen discusses,(STEM), or not, she explains what you must do in order to get there. STEM is, science, technology, engineering and math. and just like the title states, "Smart Strategies for Women to Thrive..."
I especially liked how the author uses her own story, and how she got interested in sharing her story, and the fact that males actually persuaded her to write this, is another positive to mention here. It shows the author has had some positive role models, and friends, from both sexes, and that alone gives hope for females who are struggling in the workplace and in college. It really made me think, and more so since I have daughters, but the part where she discusses how college admissions can be when you are a male, entering these fields, (or any other more thought, "male dominated" career), really hits home. Again, I have never personally been in this type of situation, well actually now that I think about it, I have. But not to this degree, and as quick as that situation came about, it was knocked right down. I forgot for a moment about the time I started bartending about 21 years ago, and a friend of the owners had a son who decided one day he would like to bartend. So, I went in for my shift, and was told that he would be working behind the bar and I would be waiting tables. That was rather upsetting, not that there is anything wrong with waiting tables, but I was on schedule to be behind the bar that night, and this kid who was home from college break decided he was to be back there. This went on for a week or so, and after several complaints about his lack of skills, and attitude problem with our customers, he was finally knocked back down. Although he still kept his attitude and continued his comments about how in the old days, only the men were bartenders. Well, he wasn't the best bartender and he was certainly the slowest I have seen. The final straw came when his own dad had to wait for awhile for a drink while this kid stood there fixing his hair in the mirror behind the bar. Building confidence is one of the most important lessons we must instill in our children, girls or boys, and this book takes it one step further. I would recommend this book to students, whether college or high school, any career minded or career women, or men, (Yes, there is so much to absorb from Karen's story) and even anybody who has a daughter or 2 of their own. You can read more about Karen and STEMspire on her website. We love Halloween on our house, sometimes it seems that it is Halloween almost everyday of the year! No, we don't have crazy skulls and scary stuff hanging everywhere, well, not everywhere, lol. But I collect action figures of horror movie characters, and we even have a framed poster of Pinhead in the living room. Are the kids scared? Nope. I don't even think they notice it. Genevive, for one, loves to watch anything scary. (We don't really let her watch the scary, scary stuff!! )We just love Halloween. Maybe part of that is because we all love the fall weather too! Getting this review opportunity for a pirate costume was a major score! Mainly for Genevive, because for some reason she has always had an infatuation with pirates. So, of course, we chose a costume for her. I love this company for several reasons. Super fast shipping, excellent prices, large selection, ( if you are ever thinking of dressing like a pirate for instance, or somebody in your family is, there are 10 pages of pirate costumes, and accessories!) They also have a price match policy, and they offer these competitive prices year round. Everything you need to have the perfect Halloween costume, is all on this site. you don't have to shop elsewhere for any add ons, they are certain to have it all there! There is also a free shipping deal on orders over $70, and really, for that price, you should be able to take care of all of the kids and maybe your own. Especially if you are more apt to create your own costumes and maybe just need a few extras for each person. The customer service is prompt, friendly, super courteous and very helpful. If you need to exchange anything, the return shipping is on them! We have some very cute pictures of Genevive in her pirate costume, but, I have to add them later, since Blogger decided to switch to the "new Blogger" in the middle of my last post. For some reason, it takes forever for them to load pictures in this new Blogger, and I have to try and work with this a little bit before I can get back to "normal" . I would suggest when shopping, to make sure you check the size charts and maybe order a size bigger in certain costumes. With Genevive's, it was in her size, but fits a bit tighter then i expected or desired, but this wasn't at fault of the website, I can't really expect everything to be sized and proportioned exactly the same. The actual costume is high quality ad will certainly be able to be worn more then once. It isn't cheaply made by any means, and it is made of real material, rather then the cheap plastic stuff I see so often at the stores. After doing this review, I have decided that this is the way we will be shopping from here on out. I won't be running to any stores of any kind, to choose from the few costumes they decided were going to be the biggest sellers that year. And I never really was a fan of the way the costumes were only able to be worn maybe one time! Besides saving time, money and gas, these are all the reasons I need to start our yearly costume shopping here from now on! When we bought our house, it came with a carpeted kitchen and a bathroom, ew! I will never understand why in the world somebody would want that in those rooms of their homes? But until my husband really does pull the carpet up and make some nice hardwood floors, or lays some nice tile, I am stuck with some already stained by previous owner, and now us, lol, yucky, 70's colored carpet in my kitchen and bathroom. First I will let you know a bit about Groom Industries. Groom Industries has been making professional cleaning products for 35 years, and just recently started manufacturing cleaning supplies to the public. ( Thank goodness!) This specific product was manufactured by professional carpet cleaners, and has been formulated to tackle all types of spills, stains and messes. Ok, so, I received my shipment, and was curious how this would work, compared to leading brands. To me, those leading brands are not really leading much anything, because, like I said, I have yet to find a decent carpet, stain remover. Perky Plus, does not come in a spray, or with any goofy spongy thingies attached to the top. It is a simple squirt bottle, and it comes with this strange little spatula/brush thing. Of course, you are to test the fabric, carpet, furniture, or whatever you are removing the stain from. I personally did do this, and had no problem whatsoever! But, you should do this with all products, just in case! After spot testing, and again, not having any issues, I decided to tackle a couple goofy spots that were just cleaned up with some spray cleaners and paper towels. the whole process is fairly quick and painless. You squirt some of the stain remover on the stain, let it sit for a few minutes, get the little spatula/brush deal, and use whichever side you need. I really like that part! I used the brush mostly, but you can see the stain disappearing right before your eyes!! After all of that, you wipe it up, I used paper towels and a sponge with warm water, then I dried it with paper towels. I have some pictures for proof!! I have to tell you, I am impressed! It truly removed the stains! The only problem is now, it is cleaner then the rest of the carpet, lol! So, either I will have to grab a vat of it and just dump it on the floor in the kitchen, or connect it to a hose somehow. Or my husband can rip the carpet up and replace it with pretty tiles:P With so many little ones, and Deegan, our 2 year old, who hates sippy cups, and loves to share food with the animals, I will still be using plenty of this stuff!! I don't really know what all happened here, this was a mess by the baker's rack, made by 2 small monsters. But I used spray cleaner, and scrubbed and scrubbed and then it turned lighter, so I don't really know what was happening. But wait til you see this!! These pictures were taken with my cell phone, so I hope you can see the difference already!! Like I said, the only issue I have, which is not at fault of Perky Plus, is, WHAT DO I DO WITH THE REST OF THE FLOOR, TO MAKE IT AS CLEAN AS THE TREATED PARTS?? Lol! Because, I am almost out of the bottle now, so I think I will have to visit the site and grab another, or 2. Here is a picture of this neat little contraption that helps lift the stain out! I love this thing, and yes, if I could, I just might marry it. I did have another before and after picture for you, but Blogger just decided in the middle of me writing this post, that they will force me into new Blogger, and I can not get the pictures to work. I will work on this and add another set in this post or a new post, just so you can see how fantastic this stuff really is!! I received one or more of the products mentioned above for free using Tomoson.com. Regardless, I only recommend products or services I use personally and believe will be good for my readers. I try to keep politics aside from my book reviews, well, at least on my blog. Not necessarily politics in general, but party affiliation, and who I plan to vote for, etc. I was surprised to receive a book that actually just made perfect sense, and didn't swing to either side whatsoever. I wish more people could think like this and could read between the lines. It irks me so much, what is going on in this country and I can't believe the news each day, and I certainly can't believe what in the world is going on. I quite frankly am sick of voting for the lesser of 2 evils, and would love nothing more then to have regular Americans, running for office. But, of course, who wants to do that?? I appreciated the writing in this book, mainly the fact that it wasn't swayed, and it sure wasn't a rant of any kind, it was actually rather positive. (Which is hard to be these days) But, the author gives some hope. Especially with his morals and his well laid out ideas, plans, and information. It really isn't that hard to figure out, although so many seem to have lost a few brain cells over the years, I sit here some days with my mouth hanging open trying to figure out, why??? How?? HUH?? It is easier then some think, and I only hope this book makes it in the hands of many hopefuls like the author, and myself. I would love to see more citizens running for office, I don't care how small the positions, as long as it is something! We all want to complain, and carry on, but yet nobody wants to actually get up and do something about the mess. Many of us have the brains and the ideas, and the experience, so what is holding everybody back? If only Government, and society would read this book, and see how simple this fix really is, and actually how we can use this to our advantage, this country and many others, could be a better place! I have to say, I am personally involved in politics, I am a mom, and a bartender, but I am pretty current, a daily listener, watcher, reader, researcher, and I have read many books about politics and how a Government should and can and never will, govern. Most of those books end up being partial to one side, and that really turns me off. Why can't we all just be happy and civil and brainstorm together?? If you agree with these thoughts, Leadocracy, is the prime choice for you! I wish I had seen these years ago when I had my first little one. These are absolutely adorable and they make the perfect gift for any child! I love the whole idea, especially when I have spent so many nights trying to find the tooth that was kept under their pillows! lol! I have had many struggles, and even lost a couple, only for them to turn up later. Wow! Trying to figure out a story real quick, and telling it to the world's biggest skeptics, is harder then I thought! If we had these tooth fairy pillows, it would have been a quick and easy process! You will find a fairly large assortment of styles, anything from Nascar drivers, to cartoons, to just unique and colorful designs, to Sesame Street friends, she seems to have everything covered! Her prices are also very reasonable, and if you "like" her Facebook page, and check in once in a while, she does drop some nice discount codes from time to time!! You can also find Tooth Fairy Works on Twitter!! Another neat thing about these pillows, is that if you ever had or have children who are scared over losing a tooth, these will definitely help! They will be so happy to wrap up their tooth and place inside the pocket and be anxious to get up the next morning to find a treasure! Plus, I can't stress enough how much this will help moms and dads!! I would love to hear your comments!! Did you ever have issues with your little ones being scared to lose a tooth?? How did you go about trying to help them get over that fear? 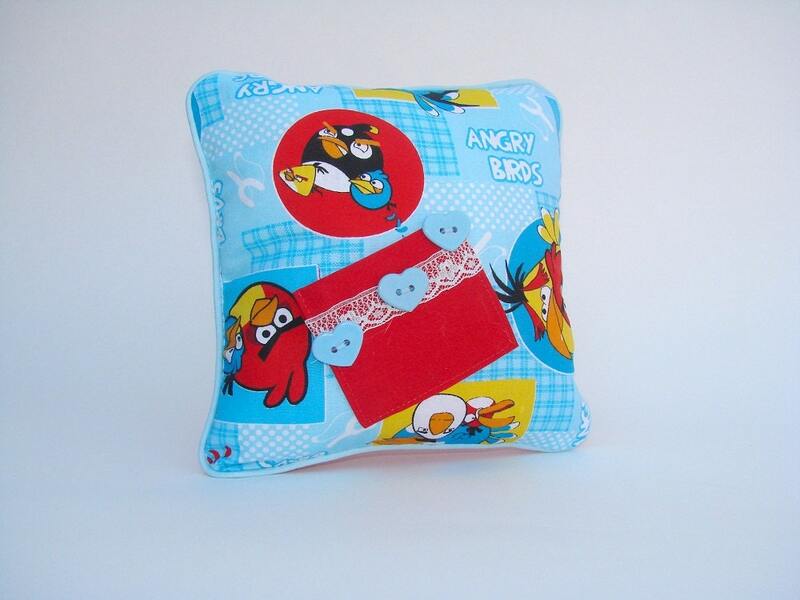 Did you buy one of these super cute pillows?? Which ones are your favorite? I purchased a life insurance policy about 8 years ago, through my auto insurance company. I had no clue exactly of term life, and 20 year term insurance, but it seems fairly reasonable. I like the fact that if needed, I can borrow against it. Well, I don't really like that, but the option is there. I think it gets a little pricey, but I am happy that my husband and children will be covered, no matter what happens with the economy. We are actually in the market for a policy for my husband, (yes, I don't know why, but we haven't started one of those yet) So, I am hoping some of my readers would be able to help with what type of life insurance policy is best?? This is one of those things that I do read every page of, whether I understand it or not. But, is 20 year term insurance the better option? Or is there a better option? My next question is, what does happen after the 20 years are up? If I am paying $100 a month for my policy now, does that amount double or triple after my 20 years? and what happens to the money I did put in? Even my own auto insurance company, who holds my life insurance policy, is not as helpful. I leave messages and emails and don't get a reply for days! What types of life insurance do you have for your family? What do you look for in an insurance company, for one you can trust? I really don't like thinking about, what if something happens? I guess nobody does, but it is kind of ignorant I guess, not too. So this is just one of those things that we kind of have to have in order to make sure our little ones are well taken care of. Since they are the most important to me;) I really would like a trustworthy, honest company!! Merminia, by Emm Cole is definitely a treasure, a very unique one at that!! This book will actually grab your attention from the first page, and will keep your attention well until the end! Emm Cole really has a tasteful, fresh, creative style that is written so well, you will see each character in front of you, each segment of the story played out right before your eyes, and the images are not easily forgotten. Mermaids and Mermen, have the same types of issues, dilemmas, struggles, drama and feelings as humans do. Parts of the storyline, the characters personalities, and the atmosphere are created in such a way that we can relate. And at the same time, this alluring tale will provide a place for you to escape the real world, for just a while, until the end. I would hope there is a 2nd volume on the way very soon. I would definitely be interested in reading it! I think this is an excellent series that will prove to stand the test of time and will capture the hearts of many, many fans. Young adult, fantasy, suspense, fairy tale fans. Even drama, romance, and adventure fans will find that this is well worth your time! You can find out more about Emm Cole, and Merminia here on Facebook! I have been going a bit nutty lately, (nothing really new, lol, but more so then normal). I am actually anxious to be going to my family doctor first thing in the morning because even if I don't have health insurance right now, I need a trustworthy person to talk too, and hopefully re evaluate and re structure my pain management. I also like to hear from time to time that I am not crazy, because sometimes I wonder how this is possible and how can I be in this kind of shape, I mean, I don't "look" disabled, and my life isn't threatened in any way, I am just in constant, consistent, pain. Instead of being "hit" with pain episodes, I am "hit" with small, short fragments of bearable pain, or enough strength to force myself to do what a mom, or a wife, or a human, or a blogger has to do, and wants to do. When I am "hit" with these good times, I spend most of the time, frantically trying to figure out what in the world I can quickly accomplish, often times, I only figure it out by the time the burning, or the tingly, electric shock pain start. Then I am back to being "me' again. If you ask me what RSD is, I would have to say I don't really know! Other then the R standing for REFLEX and the S for SYMPATHETIC and the D for DISORDER, I have been diagnosed 6 years ago with this, and still have no idea what to do or what to expect. I have no clue as to what is normal, I don't know really anybody to communicate with who knows exactly what I am going through. I have some friends online, but this disease seems to be very different in all of us. What I make of this 'disorder" is, it seems that any type of trauma, pain, injuries, pregnancies even, even bug bites, sunburn, anything that maybe caused any type of pain, on any level, is repeated over and over and magnified on so many levels. My RSD started in my feet and ankles, and started to spread to my legs, my knees, then to my hips, then my back, jumped to my right eye, now my whole back, and the limping causes more issues, and I still have tendons that are torn, bones that are crushed, and metal that needs taken out of my ankles. Each part of the affected parts have had some sort of trauma, and I started to realize this when I started getting a piercing, sharp, burning pain in my right eyeball. The ankle, feet and leg thing was going on for a while before my RSD set in, so that was pretty understandable. But my back, apparently just spreading?? Then I finally got a tattoo I always wanted, which is on the top of my back, I absolutely love it!! It really didn't hurt when I got it, but now, I am ALWAYS being tattooed! Crazy!! It hurts very much, always burns, always sharp, razor type slicing in my skin, and nothing seems to help. The most recent of my pain, just the last few months, I thought I was going insane, for real this time. I guess one of the points I am trying to convey here is, I have no idea what is happening to me!! I have found that everyday is different! Odd things like certain noises really hurt and radiate on so many levels! I have hot, burning welts that appear out of nowhere on my legs! Contractions every morning for a few hours, and sometimes they last all day, and I really need them to stop!! I need some answers, some sort of light at the end of the tunnel, and I would love if any of you have any advice or tips or know anybody with this disorder that maybe has had any relief from anything. I have to get it back under control, it seems I had it under control, it didn't fade, but I was used to it. But, everytime something new starts, it takes a while to understand what is happening, and well, to get used to it. I really miss my normal life, and I hate that some of my children never really knew the real me. They only know me as this mom who limps around, and can't take them to the park, and can't get up and down steps, and can't get everything done. I am always, always, always, wondering who and what is gathering personal and private information from my computer, my cell phone, how they are doing it and why, not really paranoid, lol, but I am informed and very aware. So, this was a very interesting and useful app for me to try out and publish my review for. I had a few issues at first with installing this app, however, they were not at fault of the app itself, or the creator, but more with my lovely cell phone service and network. I did finally get this installed, and it has been running very smoothly. It is simple to use and very quick! You just tap which app you would like to have scanned and within seconds, the scan is complete and you can see what apps you have in your phone that are accessing more then they are welcome too. I didn't give it much thought when I first started using my Android, I installed a few apps, some were awesome, some worked well, some not at all. I was to excited to use my police scanner and ham radio apps, to even think about the chance that the creator of the app, would be storing personal info about me, my contacts, my number or location. This was pretty careless of me, since I am usually very careful, maybe to careful. I also am always very cautious about everything, so, even the BetterGuard Mobile Android App is a concern for me. Of course I agree that $1.99 a month is a reasonable amount to pay for safety and fairly quick scanning of anything that could end up being a much problem for me later. not to mention, cost me a lot more then the measly $1.99 a month I am going to pay now. $24 a year to better protect myself and my family, and my contacts. The only other dilemma I have come across, is the fact that when it does scan and find a bug, it gives you the option to then see more details. Well, I haven't been able to see any of those details, yet. It always says it is not available. So, I have to wait until I am in a bigger city, at least one that is not stuck in the middle of a mountain, like where our house is;) AND I would like to have a few questions answered before I would give a bad review for this app. With that being said, I will be updating, rather then saying, "Don't buy this app!! ", and I also can not say, "Yeah!! Get this app asap!! You can't live without it!!" Because I want to know, A) Why are the apps by the same creator, showing up as having 7 bugs??? It is possible that the specified apps have something about them that more personal information is needed?? Hmmm, not sure, but that also is not ok in my book. I did not enter any personal information, nor would I, so, that is not really going to be alright. B) Will it ever tell me what the exact details are about the bugs it finds in the scans? Or will it always just be "unavailable at this time", as it has been. AGAIN!! This could very well be a bug with my service, although, I am able to install apps, use them, make calls, text message and get online. So, I will be giving the benefit of doubt here, and will update in the very near future. I am very interested in hearing what any of you have to say. Have you installed this app?? Has it helped you identify any odd or creepy apps? Has it worked well for you?? But for the busy mom, (like me, and I know many of my readers! ), this is a super cool app to have installed in your Android! This is probably going to be the reason some people, like my mom, end up buying an Android. My mom doesn't have the internet at home, and is always so fascinated by her cell phone and how she can access the internet and read up on all of her favorite shows, movie stars, and she loves to Google search all kinds of stuff, mainly politics, and she loves to tell me what Dr oz had to say, and how Dr Oz is so smart, and how great he is, she would go crazy for this! What this app does, is keeps recaps from all of the current shows, all of the interesting stuff you probably wish you had a paper and pen handy for, and all of his suggestions, and puts it all in one location, for you to access whenever you please! How sweet is that?? The most important stuff from each episode, is collected here and shared with you! The next cool deal about this FREE Dr Oz app, is the recipe tab! Click on that, and you will find the best of Dr Oz's recipe suggestions. All of the super important links are here for you, his Youtube videos, (for the ladies who have this nutty crush on this doctor), and nutrition advice, supplement advice, and exercise tips. There is even a link for you to apply for tickets to the show, or to apply to be a guest on his show! All the most valuable stuff from your favorite doctor, ok, I have to admit, i am not some crazed fan of his, but I am loving his tips and recaps I have been reading with this app!) he seems to be a very down to earth, easy to believe and understand, type of doctor. So, I do get the whole, "Oh my God!! I have to go, cause Dr Oz is on! ", and "Oh my God! Did you hear what Dr Oz said about treadmills??" (or whatever he spoke of that day! Jeez! He sounds like a glorious superstar:) But really, I enjoy hearing his tips, and now I can read them whenever I have time, and maybe I can apply to get tickets for my mom to visit his show!! Have you installed this app for your Android? What do you think? Do you heart this Dr Oz?? Or is it just all of our moms?? Just kidding, I hear about this guy from several people, not just my mom, lol! This one in particular, is especially amazing! I found this while digging through other apps, and was impressed with the pictures! The fact that these little books, filled with such colorful and vivid pictures and characters are available on our devices, and only cost a couple dollars, is shocking to me! i am just absolutely loving the amount of genuine, decent apps, especially the ones that have our little ones in mind. How handy do these come in for long rides and long waits at the doctor's office?? Beautiful pictures!! I just think technology and how much is here for our kids is just awesome!! Especially when you have an artist such as this one, spending time making these for kids. You have to love that!! You can get this app here! I'd love to hear from you in the comments section if you have this children's book, or if you plan on buying it! I recently grabbed one of these Android phones from Verizon, and i have been going crazy trying to keep up with the best apps, and of course grabbing as many of the free apps that I think would be beneficial for me, our family and our readers. I especially love the Google Play Store and all of the helpful apps, and information there is, right in our phones! Unbelievable!! I found this app, GAPS Diet Fan, and thought this would be very useful for me since our 9 year old, Aaron, has been having all kinds of stomach and heartburn problems the last year and a half. He has missed a couple days of school already this year, and several last year. Even though he has been getting excellent grades, and keeping up with his school work, this still poses a problem with the school, all the doctor visits, and the never ending phone calls from the school nurse to ask me to please come pick Aaron up. I wish I would have known about this app when this all first started. This app was made to get the work and information of Dr.Natasha Campbell-McBride, out to as many people as possible. GAP stands for; gut and psychology syndrome. Your gut is referred to as "second brain", and is responsible for many aspects of your health. The GAPS diet, is recommended for autistic children, children with severe allergies, (like our 9 year old, the drs think:), Tourette's Syndrome, schizophrenia, and other scary illnesses and diseases, also, ADD and ADHD. There are several things on this app that I have used so far, especially keeping up with the latest news and also reading articles that are about gluten free diets, Celiac disease, all the crazy diagnosis' the doctor's have been throwing at us for the past year and a half about, Aaron. Oh and quick links to their Facebook page and videos! There is also plenty more to come with this app! The one I am looking forward to the most, is the recipe ideas from other parents, because it is rough trying to figure out what to even make or eat! I would love to hear about your experience with this app, or with this diet! Especially any recipes!! Aaron tries to eat what he wants, still, and he has bad days and good days, but between him and my husband, (also possible Celiac), we have some super hard times trying to cook dinner! They are both stubborn and every now and again, like to have something they shouldn't. I can't blame them but I feel so bad when they are so sick. If the pictures above aren't enough to make you fall in love with this enchanting children's story, the characters certainly will make sure you do! Dragon and Wolf is a remarkable, unforgettable, fairy tale of 2 little boys, Dragon, and Wolfy. Dragon and Wolfy are 6 year old boys, with lively imaginations. Anything to make their not so adventurous town, entertaining, they dream all kinds of dreams, they rescue a ship , and solve all kinds of secrets. They end up being little heroes and help the stars find their home. What makes this adorable fairy tale different the most others I have seen, is the sweet illustrations, the animals, the clouds, and there are many additions in this interactive book!! There are small games for your children, lots on extras and bright, vivid pictures you and your little ones will remember for a very long time! There is even a cute part where you can shake your device, and make a leaf fall:) It is very easy to navigate, turn pages, a toddler can handle this on their own! This is a very stimulating mind experience for any age, and the WOW factor is super high! I would love to see this in an actual hardcover book, and on bookshelves in schools, daycares, children's homes, (our own bookshelf too of course!) and I am anxious to see if these sweet little characters come back for more dazzling and exciting stories! Dragon and Wolf, is available for iPhone and iPad and only costs $1.99 at the iTunes app store. I promise you will feel guilty for only paying $1.99, and keep your devices charged;) Your little ones will want to watch this story, many, many, many times. It's ok though, you will be taken away to a far away place as well, and oh,Your children can choose to have this story narrated, so if you need to get something done, your little ones can hear the story through your device! There are actually to many amazing parts of this story, I think maybe I am just so excited because it really is a unique story, and fairy tales have always been my favorite. And as much as I like to have the real book, this is truly a splendid way to tell a tale! It will certainly lead to many conversations with your children, and there is definitely a lot in this little story to help build imagination! You can check out Dragon and Wolf here! I received a packet of this product to try and post a review, and it certainly came in very handy! We have a pool, a small one, but it's a pool, and even though I don't get to get in as much as I would like too, the kids are in a LOT!! Genevive has some gorgeous, pretty long, light brown/reddish hair, which is sometimes very hard to take care of! Especially for a 5 year old, and knots every single day! Her hair does require quite a bit of care, detangler sprays, conditioning sprays and conditioner, and when it's swimming season, even the best of the best does not help 100% with her dry, swimmer hair. So, of course we used this for Genevive's beautiful, long locks! I do have to say, I only received a small packet which I didn't think was actually enough to use and process a review for. We did notice some improvements with her hair with this one application, and I think I probably would have seen more improvement, had we had a couple more packs. I understand this as a treatment for each time you swim, and if you swim a great deal, this may end up being a little costly. The 1.7 oz packet we received, sells for $3.50, and a box of 12 sells for $39. However, with just the improvements we have had in Genevive's hair, I would certainly recommend this for swimmers, especially when you figure out how much it might cost for drug store or big brand names, conditioners, treatments, and how many bottles you will be going through just to get the same effect as you do from 1 packet of Malibu Swimmers Natural Wellness Treatment. Malibu Swimmers Natural Wellness Treatment, is very simple to use, and is actually a powder! You simply open the packet, dump in your hands, add water and it forms into a gel! Then, when added to your hair, it lathers very nicely! Here are some of the benefits you get from using this product: (you may also be thinking the price is a little high, but keep in mind, the prices you would pay for several other treatments that each do 1 or 2 things. When this product does it all. 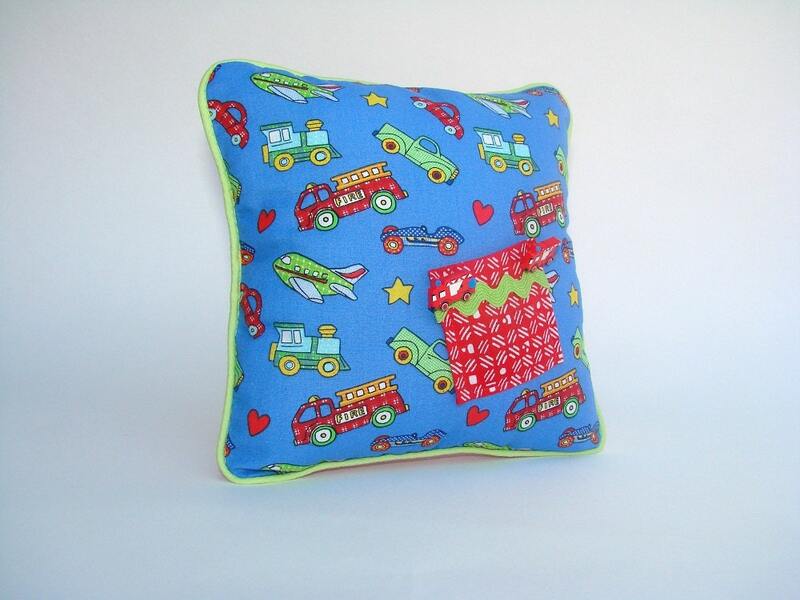 I am very happy with it, I love that it is safe for children of all ages, and I love the eco friendly packaging! I would probably purchase a box of 12, and somehow manage to make that last for Genevive for the whole summer, maybe 1 packet a week. Then I would say, yes, this was well worth it! There are several other Malibu Swimmers hair products that may interest you. You can check them out here!! There is even a whole Wellness kit, which includes this treatment, along with shampoo and conditioner. Please leave any comments below, and let me know if you ever tried this product before, what did you think?? How much do you think is to much for a product that actually does everything it claims to do? Would this treatment help your little ones? I have to start out by saying that this is in no way a book for the faint of heart, anybody who can not stomach true horror, at it's worse, should definitely not read this book. If you are a CSI, or Law and Order fan, or any other type of true crime, or law shows, movies, or books, or law and The United States justice system, this is a book you will not forget. Burke E Strunsky, is a senior deputy district attorney, in California, who has witnessed an actual crime, and has seen inside the horrific minds of mankind. On every level. I believe that if I were to take up a career as a criminal attorney, and I read this book, I may be thinking twice about my choices. Burke, takes you deep down in the sick and twisted lives and crimes of some of the most despicable acts known to man. There are some certain warnings you should heed before picking up this book. Mainly the fact that most of the heinous crimes involve children, and since Burke E Strunsky has been in the courtroom and witnessed these first hand, you will be reading first hand accounts and he doesn't seem to leave much detail out. A lot of this may tend to be unsettling, however, the purpose of this book isn't to necessarily make you ill, as it is to make you aware of our justice system, and how "humanlike" it really is, hence, not being perfect. Along with lots of footnotes, (my favorite! ), and facts and the author's experience, there is lot to learn from this book, a lot to take in, so it will not be one of those, "read in a couple hours" type of books. It is written very, very well, to well I thought at some times. But, then I just reminded myself that the author is an attorney and is very well versed in this type of genre. We see so many criminal cases in the news, attorneys that we sometimes might tend to wonder, "What in the world ever possessed them to take such a case??" Even though we know deep down, somebody has to do it. But while reading this book, I realized that this courageous attorney actually gets several things accomplished. One of which, at least to me, was that he created the book in such a way that make us realize how human attorneys, and the justice system are. I would have to say that this became very apparent during the first few pages of the book, which was actually very funny, to say the least! From there he just jumps right in and starts the reader on a journey that may make your stomach turn at times, but still keeps you turning each page just to catch a glimpse of what is coming next. I believe the most interesting to me was how he and his then, girlfriend, were witnesses to a shooting, and how our minds play tricks on us. Even for 2 firsthand witness accounts, 1 of them being an attorney, neither were able to positively identify the shooter, or even the actual gun he was using. Which then is explained more further, and you realize that many people have been found guilty of crimes they never committed, simply because somebody, "thought" they saw something. Not that we as human beings, try to come up with fake descriptions, or distort facts, but when that we tend to think we saw things that we didn't really see. Especially when it happens during some sort of trauma. He describes at great length, different cases, how he was affected, and does an outstanding job with recounts of the court room. There will be a lot that hit home, especially when the victims are children. Burke E Strunsky, donates 100% of the proceeds to The Humanity of Justice Foundation, a non profit organization to help prevent child abuse and neglect. Each page of this book struck a chord with me, and I would love to read more by this author. I am hoping he writes a few more, maybe touching on other types of cases as well. This could make for a very interesting and haunting series! I recommend this book to anybody who does enjoy learning about our justice system, the courts, and cases and of course, the attorneys perspective. I like the style of writing this dentist, and author, Howard Lufburrow, has. It is clear, precise, to the point, and seriously keeps your attention. I also have always been fascinated with The Netherlands, so the mystery, smuggling, espionage, mayhem, and murder, just to name a few, was quite the interesting addition to this book. It was written well, keeps you on the edge of your seat, and has some well thought out twists and turns that are very well placed. I also thought that this was a classy mystery, with just the right amount of adjectives and he didn't go overboard with any of it. I read in another review that they would also love to see more stories about this dentist who is a hero, rather then some Halloween monster that just makes your next dentist trip all the more creepy. I agree 100%! I would recommend this book for any mystery lover, crime fans, thriller, and action readers, and as a bonus for dentists, I think a copy of this book should be put with your magazines, so maybe you can all gain some fans through, Jake Patterson, a new kind of crime stopper, and dentist! I just opened an account with INTENTclick for this blog, and I have already noticed a difference in clicks, and impressions, in just 5 days! Within about 5 minutes, the ad had already started at the bottom of my home page. It was a CVS coupon, which was neat since that is one of my favorite stores! INTENTclick offers the best payouts, I have seen, and they are expecting that when you run their ads alongside Google Adsense ads that you will see 25% more in revenue, then if you were running Adsense ads on their own. The requirements are very fair, about 1000 US users a month, and a blog that posts about deals, coupons and saving money. You will get reputable customer service, (they answer quick, I should know! ), exclusive in text placements, reliable payouts and technical support. I am kinda liking the ads so far, and if you are a blogger, I would definitely sign up asap if you are looking to monetize your blog! You will have to do 2 applications if you have more then one, since they thoroughly check each blog.